Troy Jackson speaking at 3rd Annual Rally for Unity on January 8th in Hall of Flags. 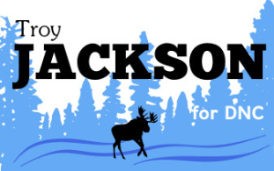 Below is the letter Jackson sent to the party’s state committee members, who will be convening later this month, and photos taken during the last state committee meeting of 2014, where Jackson nominated and spoke eloquently in strong support of Bartlett. The most incredible experience I’ve had has been the opportunity to travel to and spend time in places all over Maine where I met most of you and other like-minded activists. I saw firsthand just how many of you, or how many of us, rather, believe in a progressive vision of our state. Maine can be a place of living wages in a creative economy that works in tandem with our traditional economy. Maine can be a place where its citizens aren’t consumed by the cost of healthcare, let alone access to it. Maine can be a place where working families are fairly taxed and corporations finally pay their share. 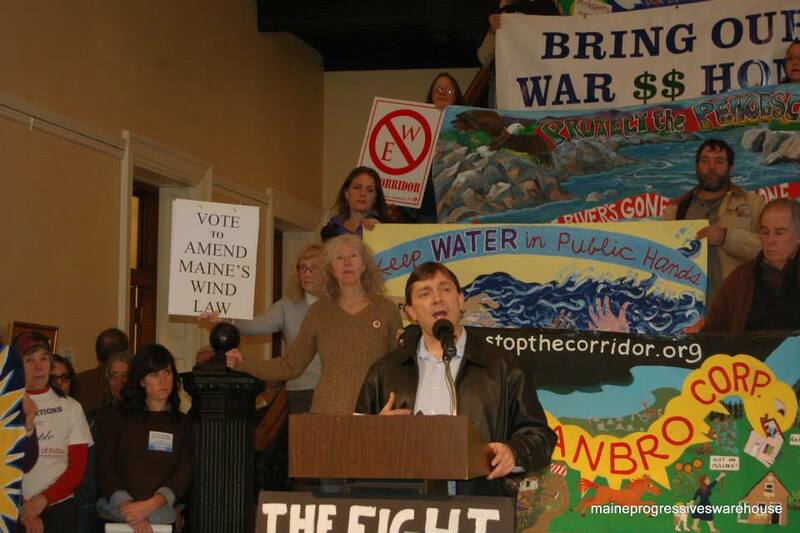 Maine can lead the nation in the “New Food” movement, in renewable energies, and in rural revitalization. We all want these things and we see a path to them. So let’s do it. The trouble seems to be that instead of great leaders like Mike Michaud and Shenna Bellows, we have conservative radicals like Paul LePage and Bruce Poliquin in charge right now. How did we Democrats fall from grace as Maine’s natural ruling party? How did people who once voted for George Mitchell and Mike Michaud begin voting for Tea Partiers? Troy Jackson nominates Phil Bartlett for Maine Democratic Party Chair. I believe it’s because those Tea Partiers stood for something and they never doubted it. Their policies may be wrong, but they stuck to them. When we questioned how much we should expect as Leftists, they demanded all they could as defenders of the Right. When we laughed, “How could middle class people vote against their own interests?” Republicans were convincing them that they truly ought to. When we told them a future of bipartisan compromise was coming with Democrats, Republicans told them a future without progressive tax policy, without unions, dictated by the Heritage Foundation was what they should vote for. And they did. They sided with the Republicans. We cannot expect middle class voters to stand with us if we don’t stand strong ourselves; if it’s not even clear what we stand for. We need to shape our Party into one as bold, as daring, and as endearing to the forgotten middle class as the Republicans are shaping theirs. For these reasons, I want to announce I am seeking election to the Democratic National Committee. I want to have a direct hand in steering us to electoral prominence not because we sold our ideological soul, but because we embraced it. I ask for your support because if we don’t use politics as a means of exercising our beliefs it is irrelevant. 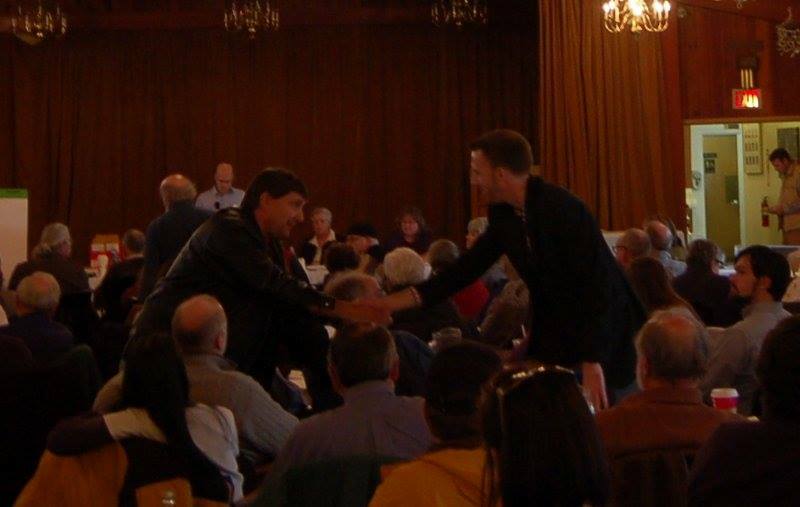 Jackson and Bartlett shake hands at MDP state committee meeting in Augusta. As one of Maine’s DNC members, I will not only be an unyielding voice for progressive populism among that body in Washington, D.C. I will also continue to serve here at home by merging this position with my activist roots. 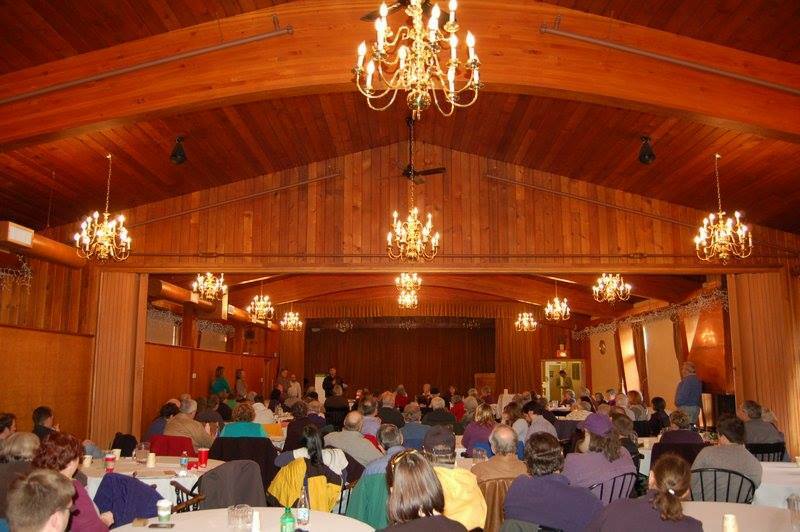 As one of the Maine Democratic Party’s ambassadors to the public I will not be afraid to stand for middle class working people and call out those who would hold them back. Let us go forward with a new, bold Democratic Party that no longer just says conservative politics are wrong, but truly seeks to convince people progressivism is right. I am from a rural populist tradition and I refuse to cede any corner of our state because of a failure to show locals we do relate to them. We will build our party, we will build our coalition, and we will open a ladder of opportunity to all. Like a Bull Moose that charges forward because of what it knows its nature to be, so will we.